A few weeks ago my girls and I gave three other young friends a ride home and, let me tell you, a minivan filled with five kids is infinitely louder and more chaotic than with just two. However, as soon as I turned on the radio and the sounds of Uptown Funk filled the air, our three guests immediately stopped all conversation and started to sing along. While I was laughing at the sheer impressiveness that they were able to dance and sing simultaneously (and keep up with the beat), my kids appeared shocked into silence by the synchronization and the realization that the two of them really weren't all that familiar with the song. The reason why? Because although Uptown Funk has easily been taking over the airways, my children don't really get into songs until they've had the chance to listen to them over and over and over (and over) when they receive a new CD from KIDZ BOP! Fast forward to today and they can now recite all of the popular hits right along with the best of them thanks to the debut of KIDZ BOP 28! After spending the last 10+ years delivering safe and entertaining music for kids, KIDZ BOP CDs are known for being a compilation of "today's biggest hits sung by kids for kids." I'm pretty sure that Big Sister E has said, "I love this song, it's my favorite!" to at least half of these titles, Little Sister B has made up a dance to many of them, and how was I not familiar with Ella Henderson's Ghost before now? It's so catchy! But, there's more! 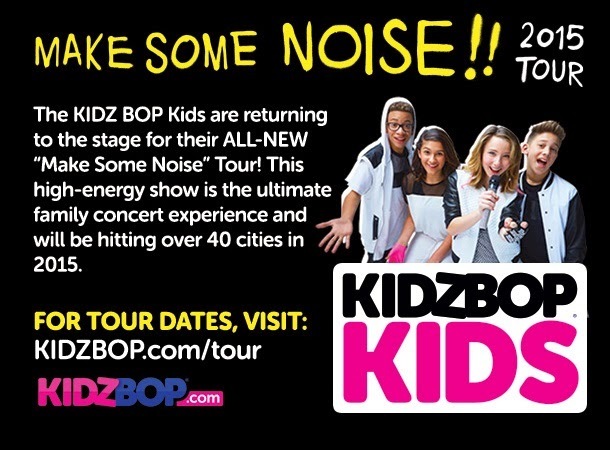 Along with recording KIDZ BOP 28, this talented group of kids is returning to the stage for their all-new "Make Some Noise" Tour! From Tucson, AZ to Bethel, NY, the KIDZ BOP singers will be hitting city after city in 2015 and giving fans across the country a chance to see them live. If these CDs are as big of a hit in your house as they are in ours, head over to KidsBop.com/tour to see if/when they'll be near you! 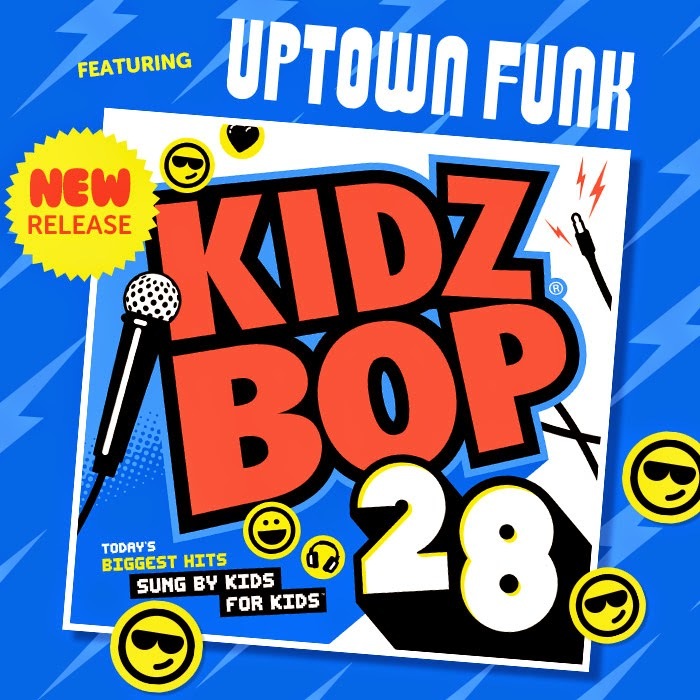 Whether you're having a rockin' party or just want something that the whole family can enjoy in the car, KIDZ BOP 28 and the entire line of KIDZ BOP CDs are sure to be a hit. More details and purchase information can be found in the KIDZ BOP Shop (this CD sells as a BOGO for $14.98) as well as on Amazon (where it retails for $11.88). Other than the copy of KIDZ BOP 28 that I was provided in order to facilitate my review, I was not compensated or enticed to do this post in any way. This review is solely my honest opinion of this product. That looks like a fun CD that will have kids (and parents) shakin' their booties. I can't believe they're still making kidz bop!